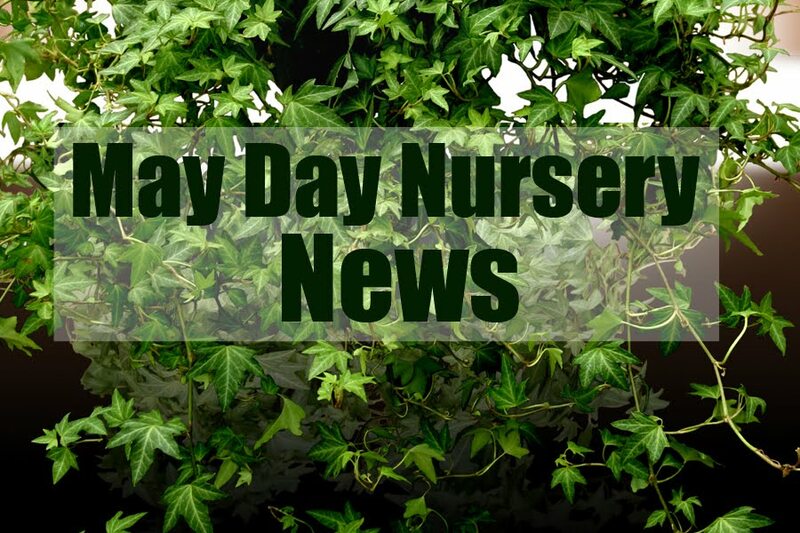 Welcome to May Day Nursery News. 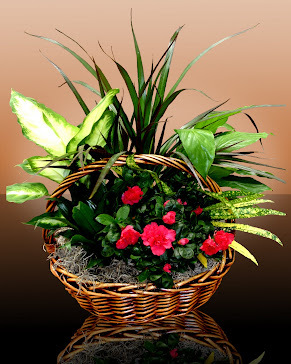 Here you will find information about house plants and succulents. 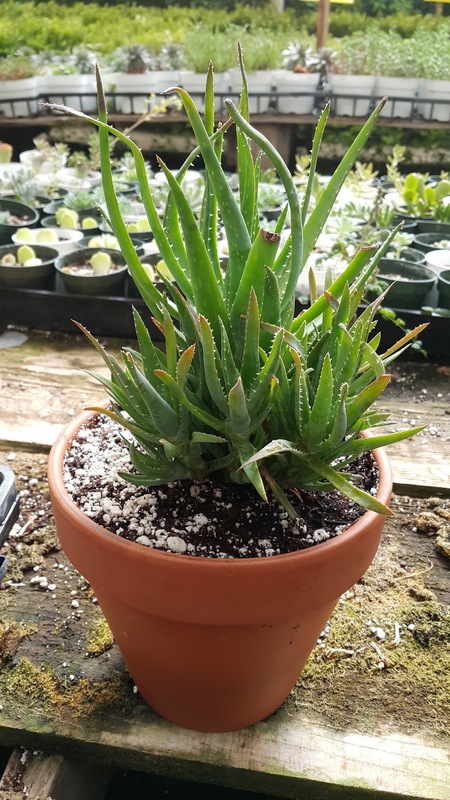 The Aloe group has over 300 different varieties. All varying in size and shape. Most are natives of Africa, especially South Africa and Madagascar. Aloe plants contain a thick fluid which seeps through if the plant is damaged. This sap is tapped from the plant, dried and sold and used as medicine for all over health. 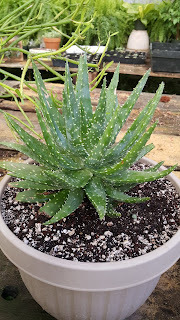 Many of the Aloe varieties grown as house plants are were used in former times as well as today, for first aid. A piece of the plant was stroked across a cut or burn to speed up the healing process. 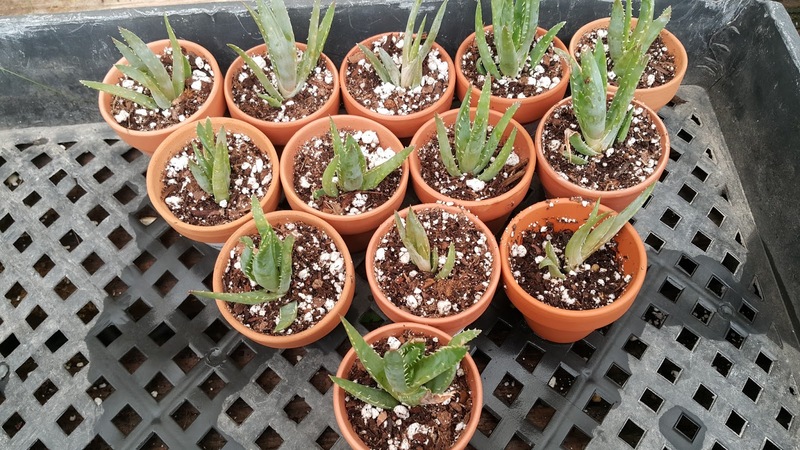 Aloe plants have come into the limelight for beauty aids containing sap from the plant. It may benefit poor skin and improve the complexion in general. 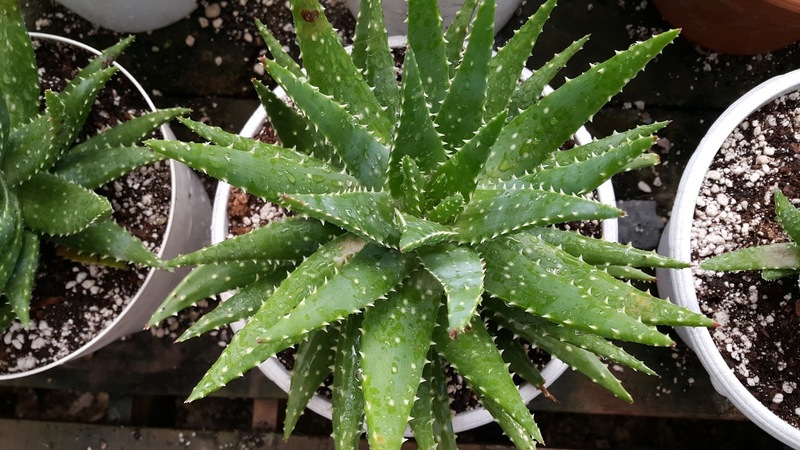 Aloe is said to help the skin retain its natural moisture. Aloe belongs to the Lily family but looks much like Agave, sometimes called "American Aloe." The two plants are botanically distinct, however, Aloe flowers, unlike those of the Agave, are bell shaped, in shade of yellow or orange red, and perch on the ends of long, slim stems. Another difference is that Aloe leaves can be snapped to reveal a juicy pulp. The stong-fibered Agave leaves do not easily break. Some Aloes have an upright growth and stem while others have a rosette shape and spread through side shoots which gradually form a carpet of small tufts. 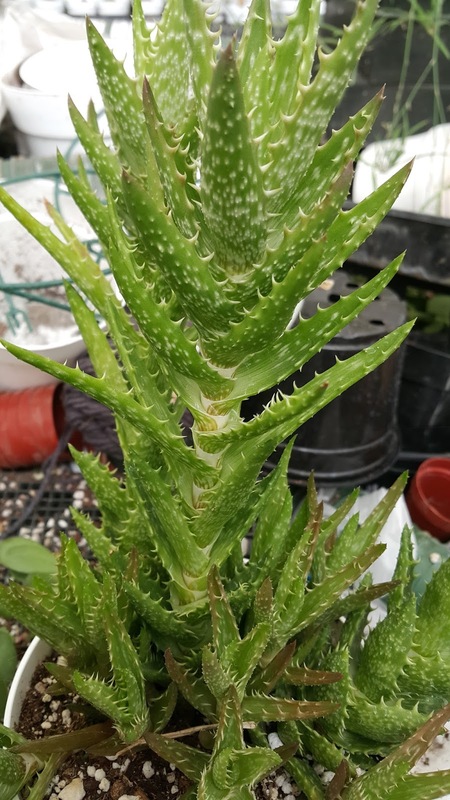 Many Aloes have sharp thorns along the edges of the leaves. Some grow as high as 60 feet in the wild and other are very low growing. 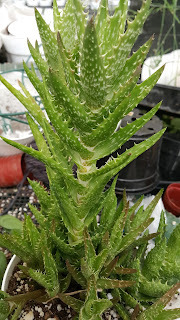 The flower stems grow up from beside the rosette of leaves. The flowers are bell-like and yellow or orange-red. Large varieties have flower stems several feet tall while others will be only 4-8 inches. Most of the flowers have a faint but pleasant fragrance. 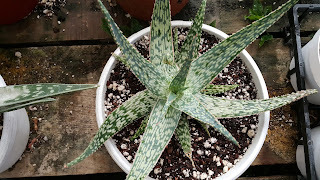 At spring time when all the Aloe are in bloom humming birds fly in to get nectar. Lots of light and lots of sun. Regular all-year room temperature is fine but a lower winter temperature, about 60 degrees is recommended, Avoid frosts. Zone 8-10 hardiness. Water well in the summer but let the soil dry out in between. Water infrequent in the winter or not at all. 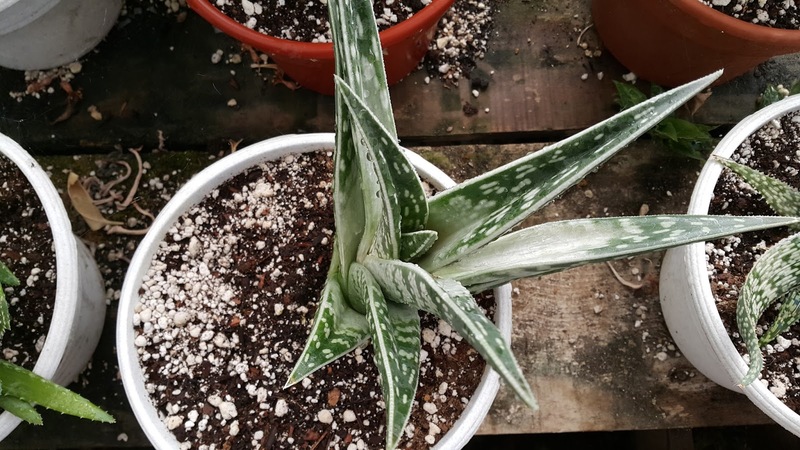 Ever brought home a plant you loved only to find it half gone the next day? Slugs have huge appetites and will eat your plant down to nothing. 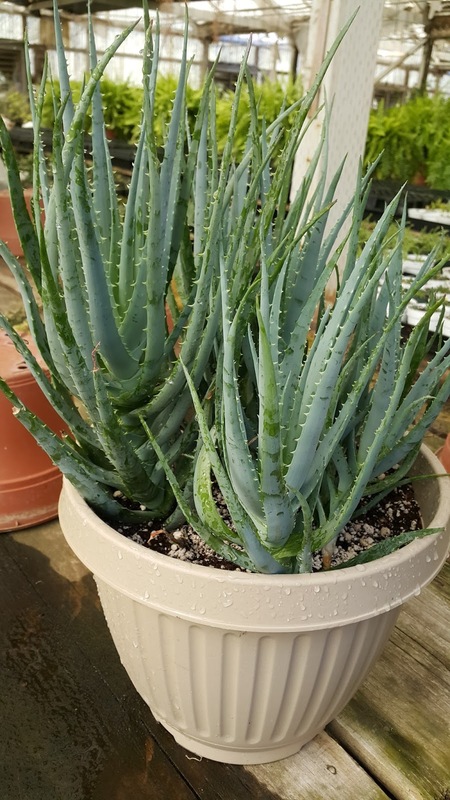 It only takes one to lay hundreds of eggs and spread to nearby plants. So, how do you kill the bugs without killing the plant? 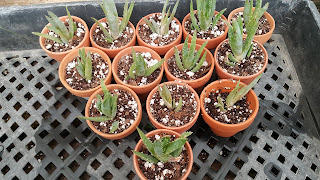 One of the best solutions I have found is to spay those little pests with full strength rubbing alcohol. Rubbing alcohol will also take care of mealy bug and aphids. Don't forget about ants. Ants will place aphids on your lovelies to harvest those nasty sticky secretions they love. 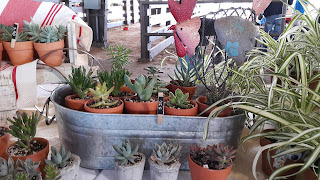 One of the best of summer, the Farmer's Markets. 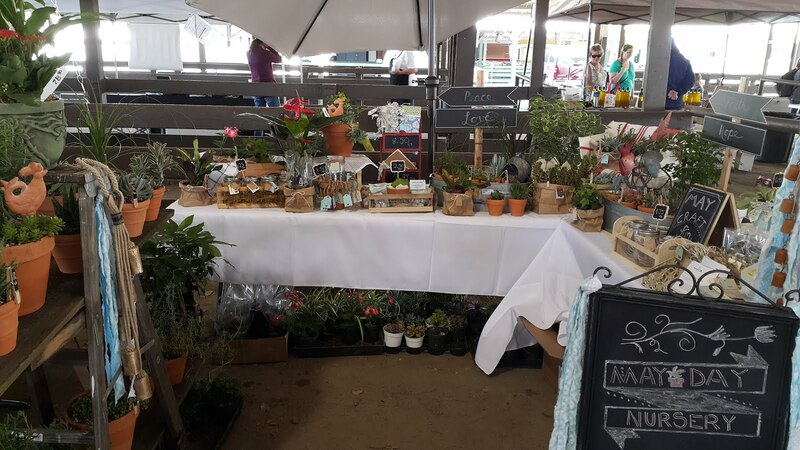 A place to pick up locally grown vegetables and meet friends and family. 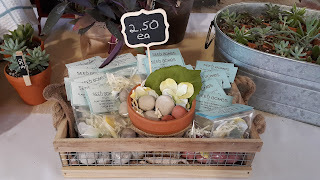 Fun browsing the many aisles of booths and picking up a handmade craft or two. 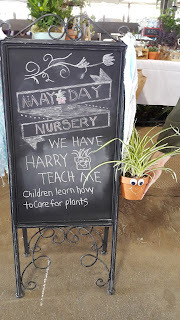 This year May Day Nursery is part of the Turlock Certified Farmer's Market at the Turlock Fairgrounds. There you will find a variety of houseplants and succulents. 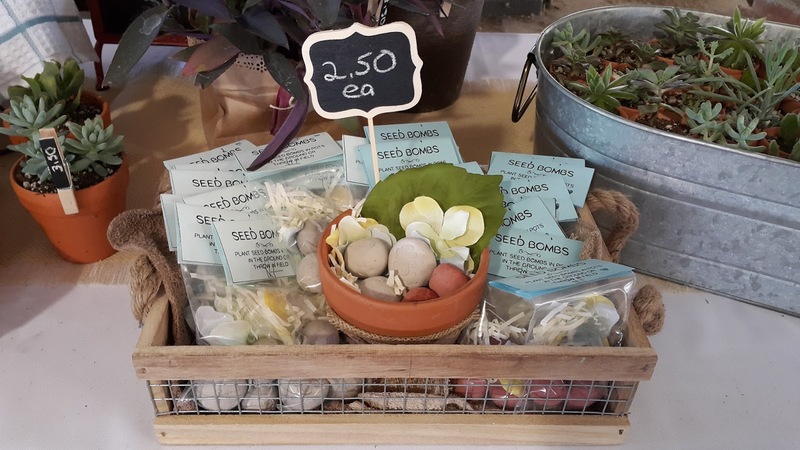 We also have fun crafts for children as well as adults to learn about growing.